Show Info: This is a continuation of OshieChan, a series that is on my Youtube Channel, Officer Osh. The first two episodes are already up if you wish to view them but at the start of 2017 we will begin recording again. This season will have 13 episodes the plots of the rest of the episodes will be revealed if you are cast and I expect full confidentiality. Summary: A team of spies goes undercover in Bayside, posing as high school students. When they free an old friend they begin an infiltration of the enemy and when the police station is in shambles the team uses their skills in covert operations to take down all sorts of criminals. *** Upon re arrival in France the team really takes crime fighting to the next level as police and investigators in BelleCrest. Requirements: Please be at least 12 years old or older. 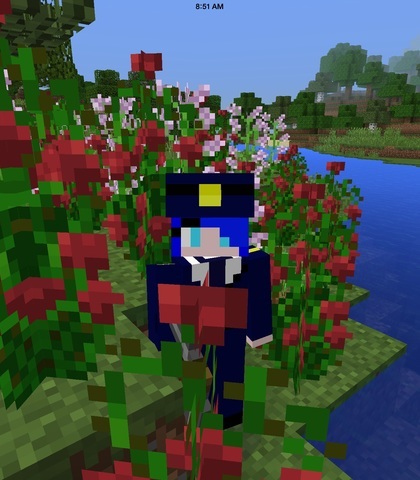 I would appreciate if you had a Skype and Minecraft PC, please try for just voice acting if you don't have these things but having them will greatly increase your chances. Also let me know if you have a kik, instagram, Oovoo or any other social medias. Voice Actors: You need to read the lines that I give you if you are cast and have them in at a certain time, I take the show very seriously and will be working to improve quality so not being timely can result in being asked to leave. 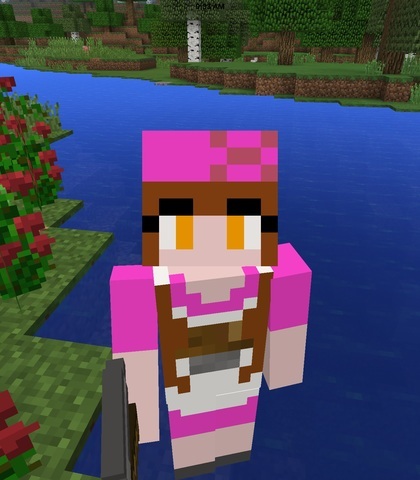 Body Actors: If you have Minecraft PC and a Skype then I would love to have you as a body actor, if some body actors are not able to make it to a recording session we could have someone else fill in. Chances are the roles will be smaller but you will still act in the game and speak in the call. For a crime show, roles change each episode with new victims, suspects etc. so you will have a difference cast of characters each day. 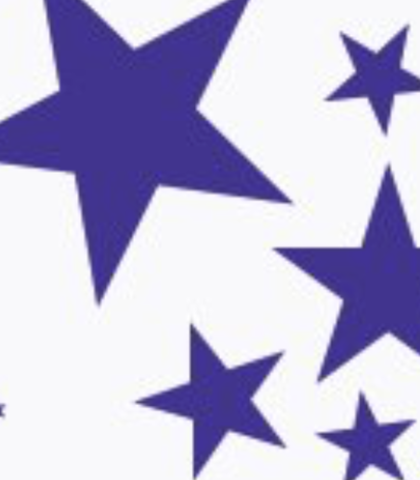 Auditions: For the auditions I am putting up some roles that will remain constant during the series which will be marked as a recurring character. Other characters change and will be marked as one episode only but these roles aren't specific since I am not revealing much at this time. Skins: If you are cast as a body actor I will make the skins and give you the skin to use through an email, I trust that you will only use this skin for MY series since I create them and if you use them for something other than my series you will be terminated from the show which I hope does not happen. Actors will often be asked to body act and voice more characters than they are cast in depending on who shows up, schedules and what characters we need. Some body actors may be asked to change into a skin and simply move around while someone else voices while they are not playing their own character. More roles will be available as time goes on so be ready for more auditions in the future. I will be planning out the rest of this series before the start of 2017 and building sets, making skins etc. If you are cast I will ask you to read a list of lines for me in advance whether you are just a voice actor, body actor or both. If you have any questions feel free to let me know. My Youtube is Oshowatt7. You can comment there any questions. Good luck! Upon analyzing the crime scene, I can confidently say that this was definitely not accidental. It was a professional hit. In other words, murder at it's finest. I compared the DNA from the scene to our suspect and it is a definite match. I think it's time you bring our little friend in. I looked at the fingerprints and it doesn't match our original suspect. It does match however, a certain Walton Cinna. Looks like we just found our guilty party. 'Foxie' is in one episode and not recurring in the series. Foxie is not her real name and more information will be revealed once she is cast. Her character is very sassy! Good luck! /// If you have Minecraft PC and Skype having you as a body actor for this character would be very appreciated and it also increases your chance of receiving the role and voice and body acting for this character. You might be asked to play other small roles depending on what happens. Well good luck kitty, you'll need it. They won't let you out of that ring until you--or the other guy is dead. What the heck? Cops?! Are you kidding me! No no no, I didn't sign up for this! I can't do that! Flo is a recurring character but a small role. She works at the cafe near the police station in BelleCrest where the team usually goes for coffe or breakfast or just hangs out at. She simply takes orders from the team and gets them their drinks and food whilst making small talk. 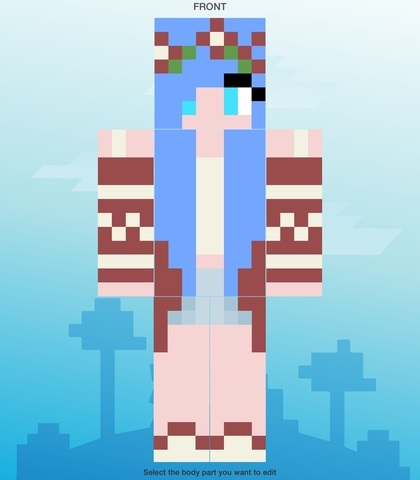 /// If you have Minecraft PC and Skype having you as a body actor for this character would be very appreciated and it also increases your chance of receiving the role and voice and body acting for this character. You might be asked to play other small roles depending on what happens. Welcome to the cafe! What can I get for you this morning? *brief pause* Coffe and Toast? Got it. It'll be ready soon Osh. Well, it's not exactly a surprise I know your name. You police officers come in every morning. Here's your coffe and toast. See you tomorrow! These characters will change every episode and are one episode character and are not recurring. We will need many different voices over the course of a 13 episode season so many people will be needed. 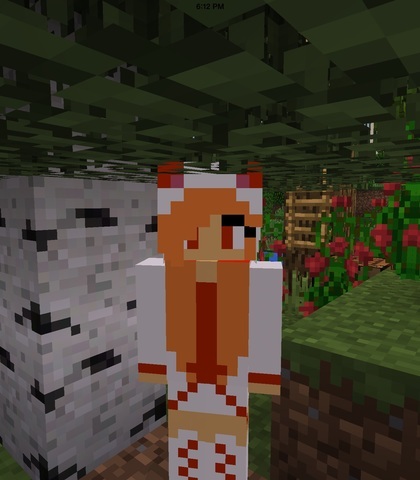 /// If you have Minecraft PC and Skype having you as a body actor for this character would be very appreciated and it also increases your chance of receiving the role and voice and body acting for this character. You might be asked to come back and do more roles if you would like. I don't remember much of what happened after I went unconscious... Um- I think I remember seeing someone shortly before but it's a faint memory. The doctors say my condition is improving. I suppose I was the lucky one... Is there any other way I can help find who did this? If I remember anything else I'll be sure to let you know. It's mostly a blur though. Has a rivalry with Foxie in an underground fight club. She is a one episode character and not recurring in the series. Jacqueline also has wolf ears as a part of her outfit. 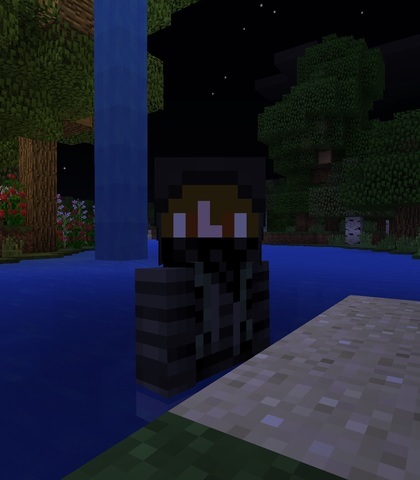 /// If you have Minecraft PC and Skype having you as a body actor for this character would be very appreciated and it also increases your chance of receiving the role and voice and body acting for this character. You might be asked to play other small roles depending on what happens. Hey Foxie, looks like your time in the ring is running out since it looks like I'll be fighting you! One mistake and you're dead. There's not even a chance if you slip up. Hey fighting him isn't too bad, just be happy you don't have to fight me! Jen is a smaller role but she is a recurring character in the series. Jen is a police officer at BelleCrest police department who assists the time in protecting witnesses, gathering intail and making arrest. She doesn't have any major plot points in the story plan as of yet but she will be a side/background character that is a fun role if you want to body act and voice act. /// If you have Minecraft PC and Skype having you as a body actor for this character would be very appreciated and it also increases your chance of receiving the role and voice and body acting for this character. Hey, I brought your suspect in. They're ready for interrogation. Want me to watch over the victim's house? The killer might be trying to tie up loose ends. I'm going on a run to the cafe, do you guys want something? This role isn't really a role but more of an area to put extra lines. If I asked you to say some more lines or if you would like to show me some more of your voice please just put an audition saying some more lines here! Thanks! The henchmen have more aggressive voices and will appear by the third episode. More information will be revealed later but they will definitely be involved in a fight with the main characters. They are not recurring and not main characters but they may return. These are very small roles. Oh hush up! Why did we get stuck with the talkers? Hands on your back, against the wall! Everyone! Now! Looks like your little escape plan didn't work so well, huh? Shame. I was rooting for you to. Nina is a blogger at the BelleCrest high school. She often writes about her experiences with bullying in online diary entries. She is a one episode character and is not a recurring character. 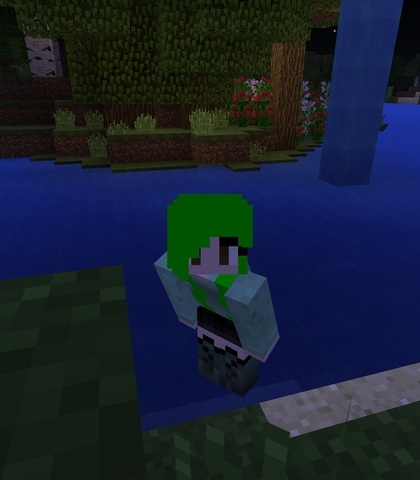 /// If you have Minecraft PC and Skype having you as a body actor for this character would be very appreciated and it also increases your chance of receiving the role and voice and body acting for this character. You might be asked to play other small roles depending on what happens. Wow, your lab is really clean. What's it like to solve crimes. The kids at school gave me a rough time today talking about my appearance, making fun of me and my dreams. It hurts more and more each day. I just can't wait to leave this school. I'm sure glad someone was here to help me today. They picked on me again today. They are just so mean. I'm glad Tyler was there to defend me but I just can't shake this feeling. 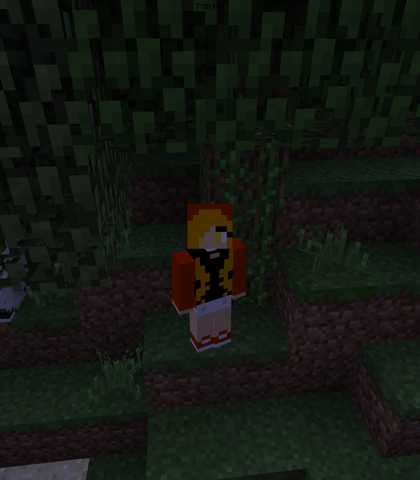 Amelie is one of the campers that attend a camping trip into the woods that the team goes on. She is very sweet and more details will be revealed to whoever is cast. You can have multiple roles so go for it! More roles are coming soon! Amelie is not recurring and is only in one episode. 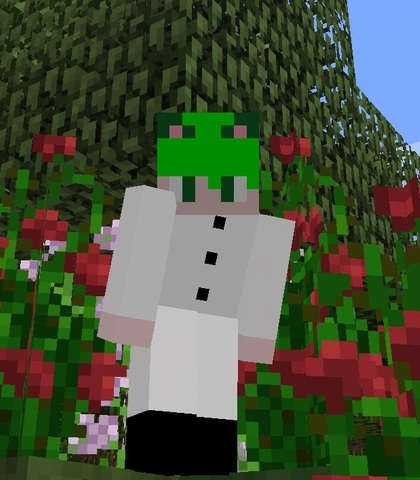 /// If you have Minecraft PC and Skype having you as a body actor for this character would be very appreciated and it also increases your chance of receiving the role and voice and body acting for this character. You might be asked to play other small roles depending on what happens. Hello! It's so great to have more campers this weekend! We will all have the best time! Oh, this is Cyrus. We've been together for a few months. Isn't he the sweetest? Oh my god... She's dead. H-how?! Why?! Who would do this...? Spike is a underground fighter like Jacqueline and Foxie, He is a small character in only one episode and is not recurring in the show. 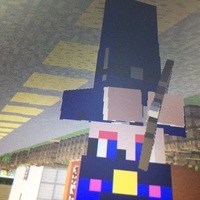 /// If you have Minecraft PC and Skype having you as a body actor for this character would be very appreciated and it also increases your chance of receiving the role and voice and body acting for this character. You might be asked to play other small roles depending on what happens. Little kitty should probably leave now, wouldn't want to see you on the ground now would we? Ready kitty cat? There's no going back once you walk in there. See you soon-- if you make it out that is. Suspect's are very important to the story and even if you are a body actor or just a voice actors we will need a lot of different voices so many people might be accepted! :3 These characters are here for one episode and not recurring characters. If you are casted you might voice many different suspects/characters. Once I cast you I will ask for more lines which is obvious and give you further details. 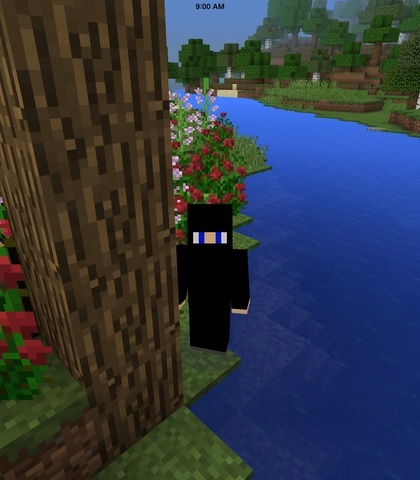 /// If you have Minecraft PC and Skype having you as a body actor for a suspect would be very appreciated and it also increases your chance of receiving the role and voice and body acting for one of these characters. You might be asked to come back and play more roles if you would like. I didn't do these things, listen SIR (louder) your team must've made a mistake because I'm no murderer. No jury in the world would convict me on this evidence. As far as I'm concerned you can't prove anything. I want my lawyer, I know my rights. Do you think I'm stupid? Why would I answer any of your questions without being provided with legal counsel?